Amanda, I know what you're thinking, "wow, Kate is totally obsessed with Valentine's day." So please let me explain. It started with a simple stop at Chapter's today to buy my real obsession (Starbucks coffee) and I wandered into the kids toys section and was perusing the clearance section and saw this awesome balloon helicopter that Max would LOVE. Added bonus was that it was $2! Sold. 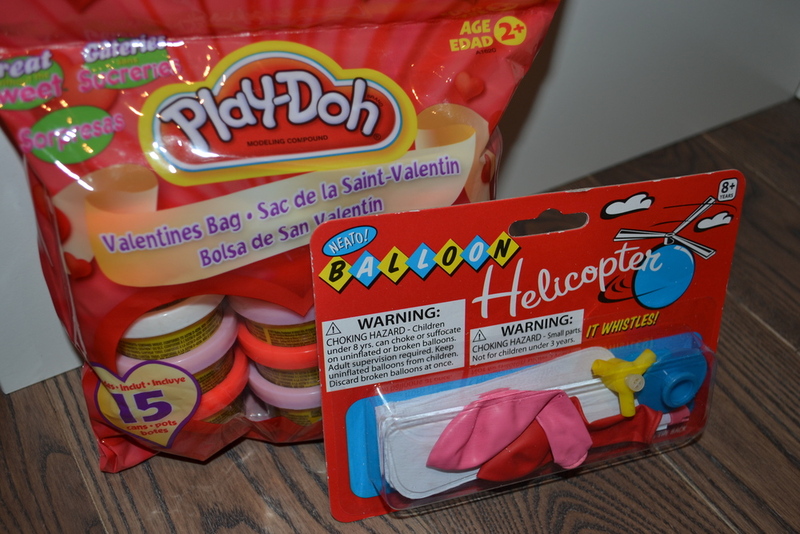 Then I had to buy Mila something... since it's Valentines day tomorrow I settled on pink and red play doh. $5! 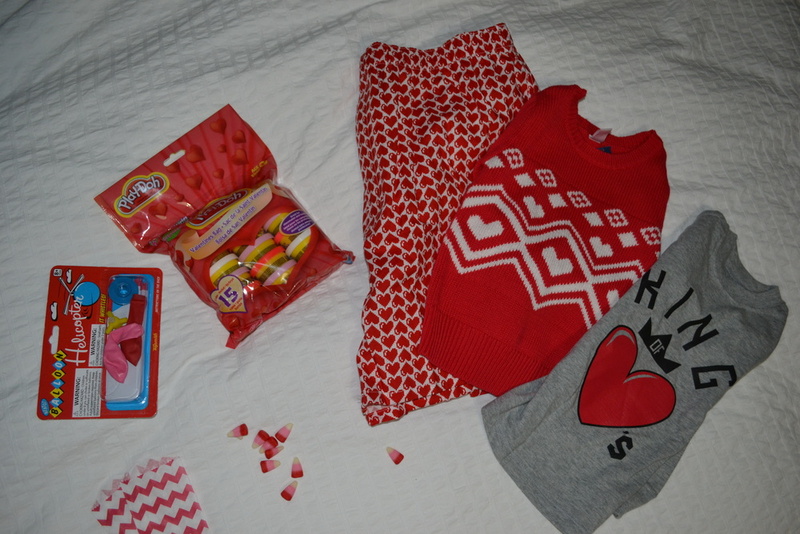 Perfect, my Valentine's gift purchases were done. However, when I got in the car I realized I had half an hour before I needed to pick up Mila, so I thought I'd just run into Old Navy where I happened upon an $8 heart sweater and a $5 King of Heart tshirt. 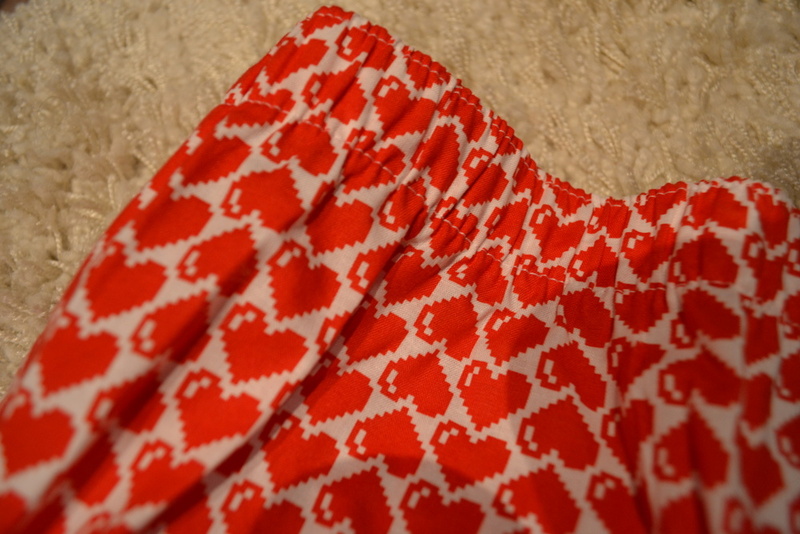 Naturally, I also couldn't leave without the heart boxers for Chris since they were also $5. 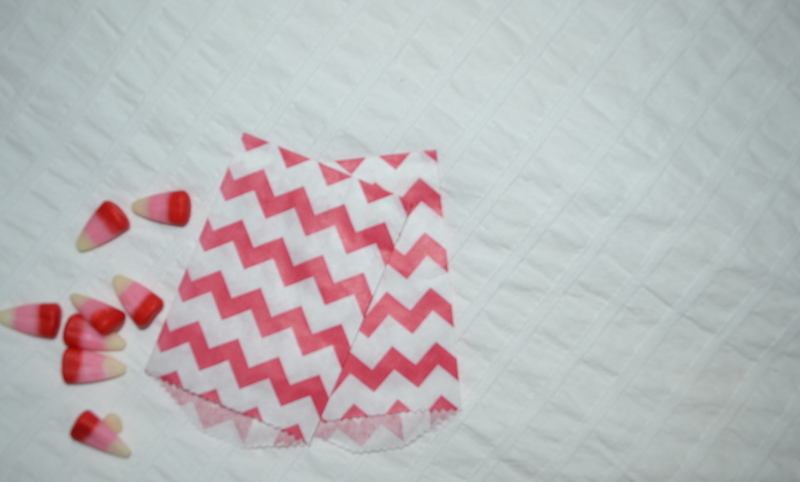 What about those candy bags you see in the pictures? 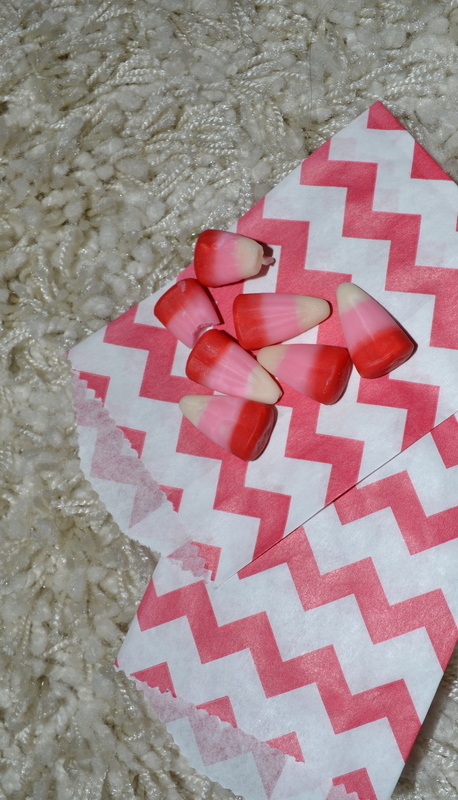 Well, those had already been purchased along with the candy, so I wasn't about to take them back. I know it looks like I am a crazy Valentine lady who posts about everything Valentine's, but I just couldn't resist sharing the finds! Don't worry, I won't post about the Valentine's sprinkles I bought for our pancakes tomorrow.